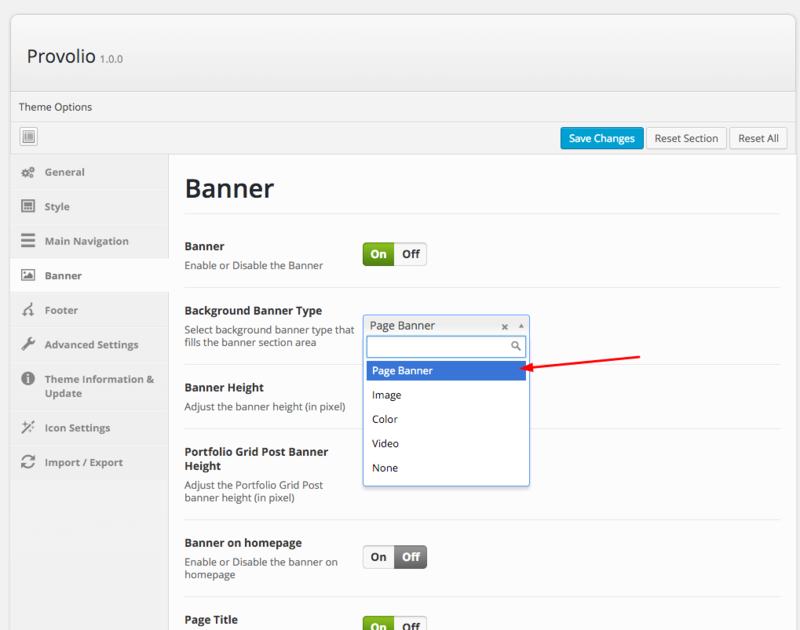 Step 1 – Navigate to Appearance > Theme Options > Banner. Step 2 – Choose Page Banner Image as Background Banner Type then Save the Theme Options. Step 3 – Navigate to a page editor. 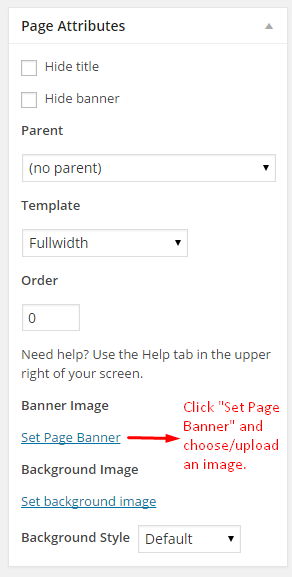 Step 4 – Choose/Upload an image for Banner Image by clicking Set Page Banner link.